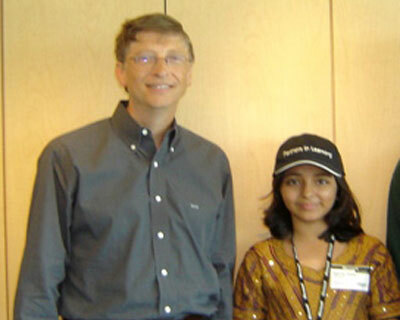 According to father of Arfa, Amjab Karim Randhawa, Bill Gates telephoned him and expressed his wish about Arfa's treatment in the US. Gates' doctors contacted Arfa's Pakistani doctors and received details about the illness through internet. Meanwhile, Pakistani doctors are of view that Arfa is on ventilator, therefore, it will be hard to shift her into any other hospital. Bill Gates has instructed doctors to adopt every kind of measure for the treatment of young genius Microsoft professional.